Robert Plant - "Robert Plant"
There´s no doubt: Robert Plant is a real Rock legend. The fascinating history of the super giants Led Zeppelin wouldn´t have taken place without him, it possibly was the most important part of his life as a musician. But in his biography it´s just an episode of about 12 years which ended with the tragic and early death of drummer John “Bonzo” Bonham in 1980. After that, Robert Plant went on working continuously and released numerous solo albums, partly recorded together with Jimmy Page, the ingenious guitarist of Led Zeppelin. His comprehensive Rock biography about Robert Plant illustrates all five decades of his creative work. The book begins with his childhood and tells about his early passion for Southern Blues and classic R&amp;B of the fifties which lasts until today. 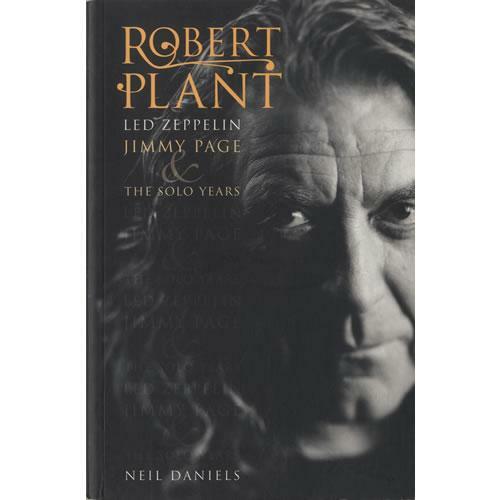 The author reveals that Robert Plants musical work is based on the heritage of Led Zeppelin, but at the same time it is associated with a broad historical context with a lot of influences of modern music. The author illustrates this special curriculum vitae with all its highs and lows ending with Robert Plant´s current project Raising Sand with Bluegrass singer Alison Krauss, which won 5 Grammys in 2009 and with the sensational Led Zeppelin comeback in December 2007. Exclusive interviews with a lot of his companions of his childhood, with colleagues, producers and artists tell the career of a lifelong music-maniac from Birmingham that became a real superstar and an icon of Rock. Neil Daniels already wrote about Classic Rock and Heavy Metal for numerous magazines and fanzines. Currently he is working for Fireworks, Powerplay and GetReadyToRock.com. Additionally he writes for Rock Sound and Record Collector from time to time. His articles and reviews can also be read in The Guardian, Big Cheese, DrownedInSound.com, Carling.com, Unbarred.co.uk and Planet Sound on Channel4 teletext. As a book author he wrote the biography of Judas Priest and an encyclopaedia about Bon Jovi. As a co-author he composed the auto-biography “Dawn Of The Metal Gods” of ex-Judas Priest singer Al Atkins. Find more information at www.neildaniels.com ! The book will be available in shops from July 27, 2009!